​Sue Combs, Treasurer, is a born-and-raised Willamette Valley Oregonian and Oregon State graduate, who has recently returned after living in Colorado for most of the last thirty years. Central Oregon was always her favorite playground while growing up, so she is thrilled to be home! Sue brings a passion for wild places, outdoor recreation and spreadsheets to FANs. She has a Bachelor of Science in Forest Management, worked as an engineering drafter for many years (before CAD), and then taught elementary school. She has two adult sons. Lotte Hermannsson, Board Member, was born in Germany, grew up on the east coast, graduated from the University of Oregon in Eugene, then moved with her husband to California where they raised two sons. Now retired, she is thrilled to be back in Oregon. She especially loves the high desert and is particularly passionate about habitat restoration and native plants. Tom Mottl, Board Member, graduated from Colorado State University and began his career with BLM as a Hydrologist and Recreation Planner. He was a river manager for several rivers in New Mexico and then in Central Oregon. His last project was constructing trails within the Crooked and Deschutes Rivers adjacent to Crooked River Ranch. Tom would like to continue his involvement in protecting and enhancing these two Wild and Scenic rivers. Cindy Murray, Board Member, moved to Central Oregon from Southern California 7 years ago. The wild and scenic canyon lands proved to be irresistible after a visit 17 years earlier. Living on the edge of Deschutes Canyon-Steelhead Falls Wilderness Study Area has given her an opportunity to observe wildlife on a daily basis. She is passionate about these beautiful public lands and participates in projects to educate others about the natural wonders in our backyard. Cindy is FANs of the Deschutes Canyon Area's Membership Coordinator. Penny Radtke, Secretary and Weed Team Coordinator, was born and raised in the Willamette Valley of Oregon. Annual family camping trips to Central Oregon sparked her love for the high desert. She moved to Bend in 1977 and to Crooked River Ranch in 2011. 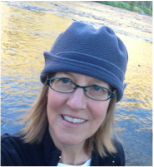 Penny is an avid hiker, canoeist, and wildflower enthusiast. After a career in nursing, she is thrilled to be able to spend more time and energy enjoying the surrounding wild and scenic lands. ​Diane Randgaard, Board Me﻿﻿m﻿﻿ber, is a public school teacher. She earned a Bachelor of Science in Wildlife Ecology at Humboldt State University and a Master's Degree in Environmental Science at Western Washington University. 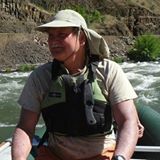 Diane lives near the Deschutes Canyon Area and hikes there often year-round, appreciating the spectacular river canyon and its diverse wildlife. She manages FANs of the Deschutes Canyon Area's digital media. Mona Steinberg, Vice President, grew up in Illinois and enjoyed summers in Michigan and Wisconsin, camping and swimming with her four siblings. Her love of the outdoors continued throughout her adult life and she has had the good fortune of living in areas with public land within walking or riding distance from her home. Mona feels blessed with a lifestyle of riding her horses and hiking with her dogs on miles of public land, which is why she lives at Crooked River Ranch. She loves this area and want to see our wild and scenic spaces permanently protected from development or degradation. ​Karen Atwood, Native Garden Coordinator, is excited to be able to continue the work that Marilynne Keyser and FANs envisioned and initiated. The Native Garden has become one of the focal points of Crooked River Ranch's Administration area and Karen has been pleased to play a part in its success. Eric Hanson, Trail Monitor, leads hikes and monitors trail conditions and organizes trail maintenance projects in the Lower Crooked River Canyon and Middle Deschutes Canyon. Sue Manser, Archivist, has parents that shared their love of nature and the outdoors with their five children growing up in the scenic mountains of central Idaho. Sue worked 25 years for Clatskanie School District providing Speech & Language services. Summers were filled with backpack trips in the wildernesses of Idaho, Oregon, Washington, and Wyoming. Annual week long float trips through the remote canyons of the John Day River introduced her to the unique beauty of Central Oregon and enticed her to retire here. Sue wants to help protect our wild areas and hopes to pass that passion on to future generations just as her parents did. Donna Reinaker, Monarch Way Station Coordinator, lives at Crooked River Ranch. Donna has always loved nature and gardening, and she raises showy milkweed at home. Donna coordinates volunteer help with two Monarch Way Stations near Steelhead Falls and Foley Waters on the MIddle Deschutes River. Jeff Scheetz, Hiking Coordinator, schedules and leads group hikes in the Deschutes Canyon Area. After an engineering career in the Pacific Northwest, Jeff moved to Crooked River Ranch in 2013. He has climbed extensively in the Cascade range, and spent over 25 years as a Search and Rescue volunteer. Current interests include exploratory hiking, observational astronomy, and volunteer firefighting.